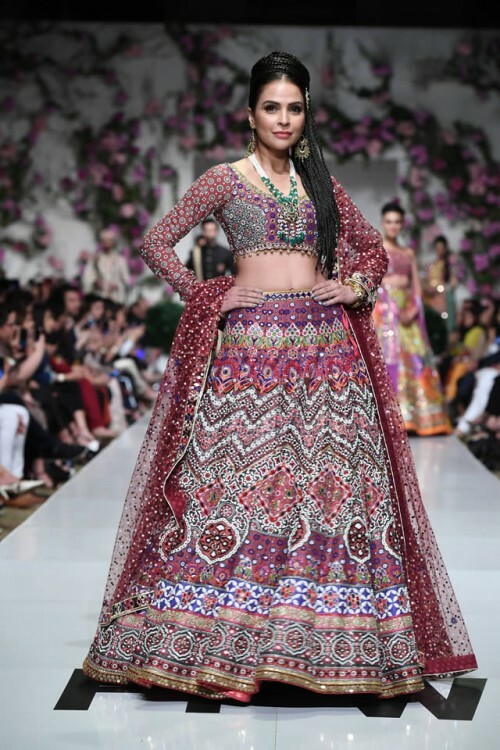 The fashion designer has brought the array of colorful and vibrant pieces with traditional Sindhi culture and mirror work is added with couture finishing. 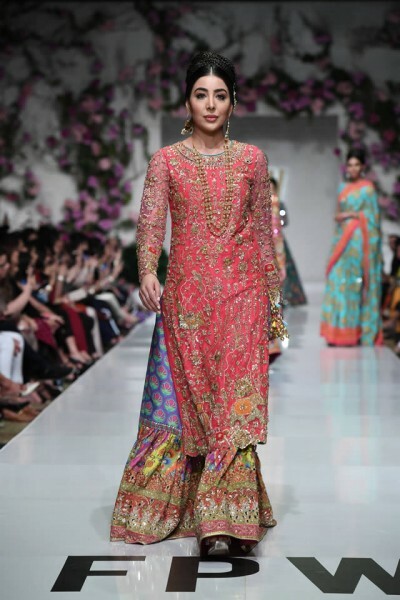 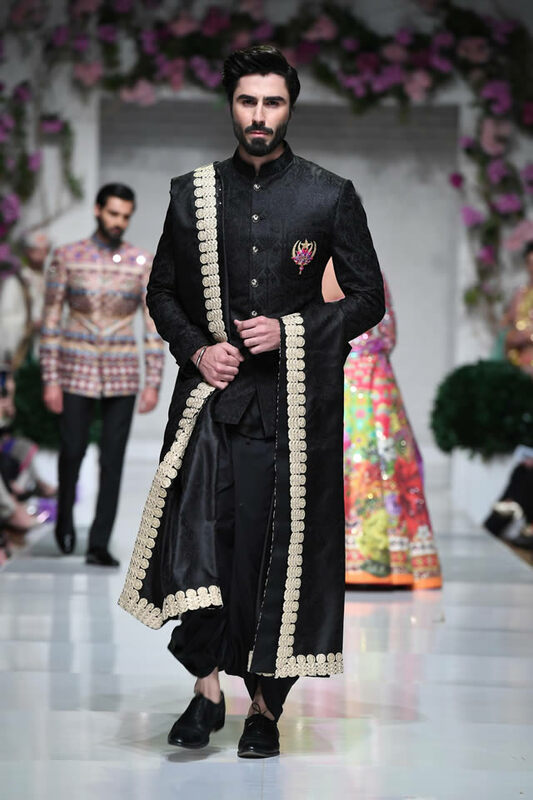 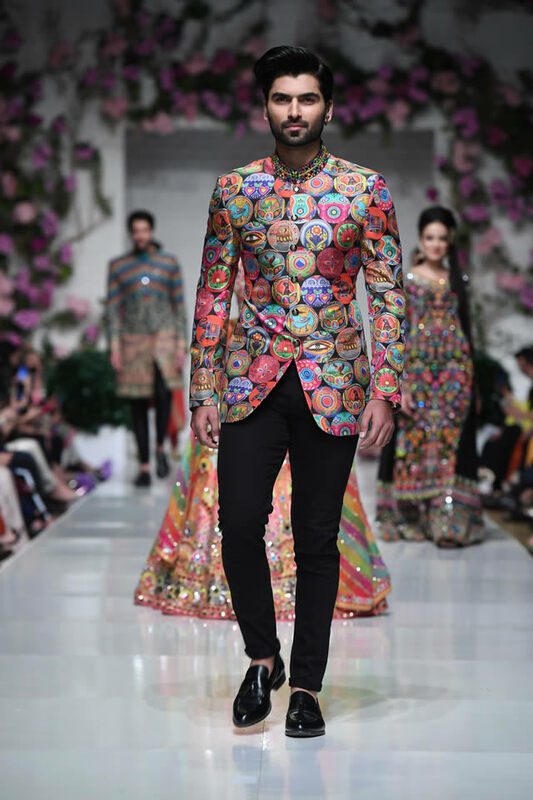 The fashion designer has used the traditional techniques from various parts of Sindh and this collection is added with the pieces, which have heavy mirrorwork and embroidery work in the vibrant attires from lehngas to tailed gowns. 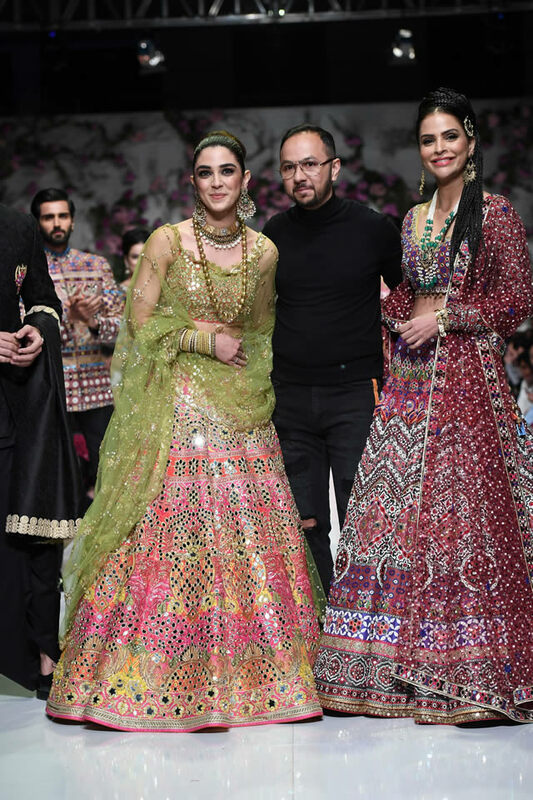 In this collection, the colors are used in the dresses, which are shocking pink, shades of red and blood maroon with bright yellows and green. 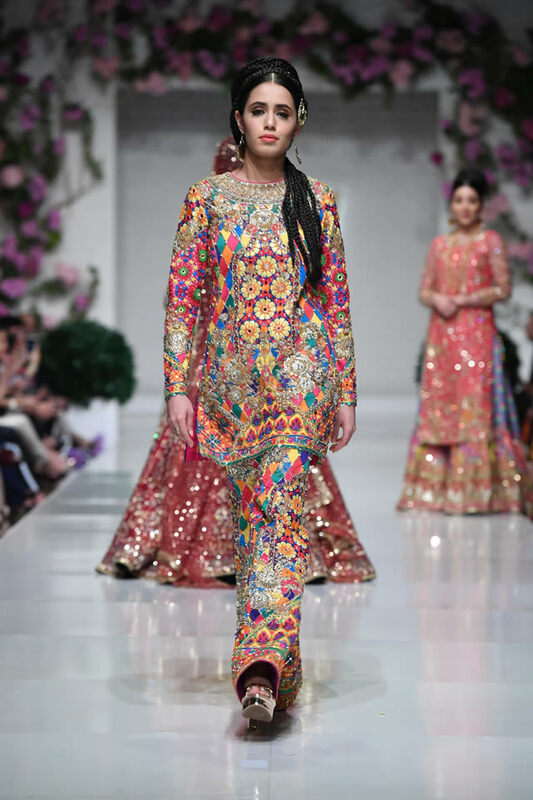 You will find the collection as traditional royal embroideries and mesmerizing ornamentation and with the use of floral adornments and these dresses are integrated with Asian tradition. Maya Ali was the showstopper for Nomi Ansari.